The Sol Barbados has proven itself to be a popular hotel for golfers in Magaluf, due to its great location and its excellent reputation as part of the Sol Melia Group. This modern 4 star hotel is located in a relatively quiet area, on a gentle hill, on the outskirts of Magaluf. Yet, within just a few minutes walk, you can find yourself on the sandy beach, or enjoying a cold beer in one of the resort's many bars. The hotel has a large lagoon pool, and extensive sun terraces with loungers and parasols. Lobby services include a currency exchange desk and a 24-hour reception. A laundry and ironing service is available at extra charge and there is free WiFi throughout the hotel. All of the 'Smart & Simple' rooms are bright and modern, and have extensive in-room facilities. We can request direct sea-view rooms, or pool-view rooms at an additional cost. The Sol Barbados offers an 'All Inclusive' option if you plan to stay for at least 5 nights. The 'All Inclusive' Service includes: breakfast & dinner buffet, a buffet or 'a la carte' lunch (depending on demand), and beverages and cold snacks from the hotel's bars. If you arrive by car, there is a small car-park (at extra cost), and limited street parking is also available. The Sol Barbados has proven itself to be a popular choice for golfers wanting the convenience of Magaluf in a quieter and more upmarket setting. The rates at the Sol Barbados tend to be slightly more expensive than its sister hotel, the Sol Guadalupe, which is only a few minutes away. 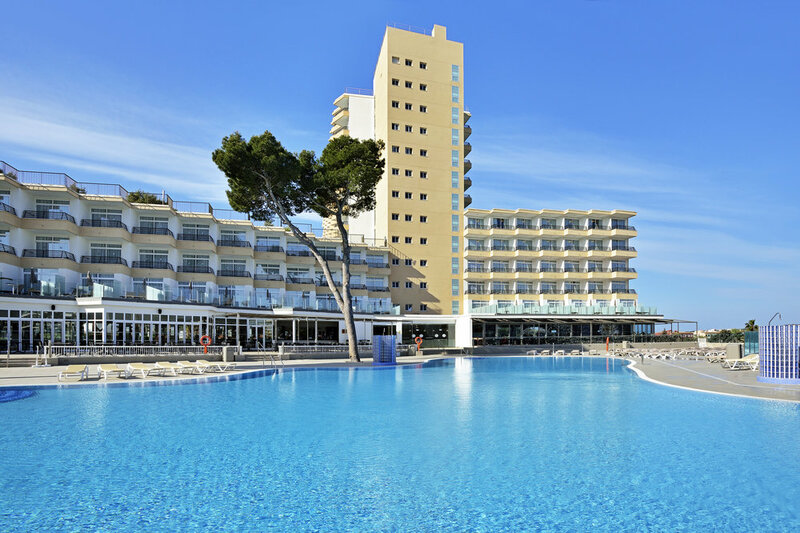 Both properties have excellent reputations as part of the Sol Melia Group. However, if you're looking for a good 'All Inclusive' option, and you may spend a day or two on the beach, then the Sol Barbados should be your first choice.